Ideal for storage of Descent game components or large miniatures. Your Descent miniature collection is neatly and securely placed in half-size trays and now you're looking for the right storage space for the game components? This foam tray would be a solution. 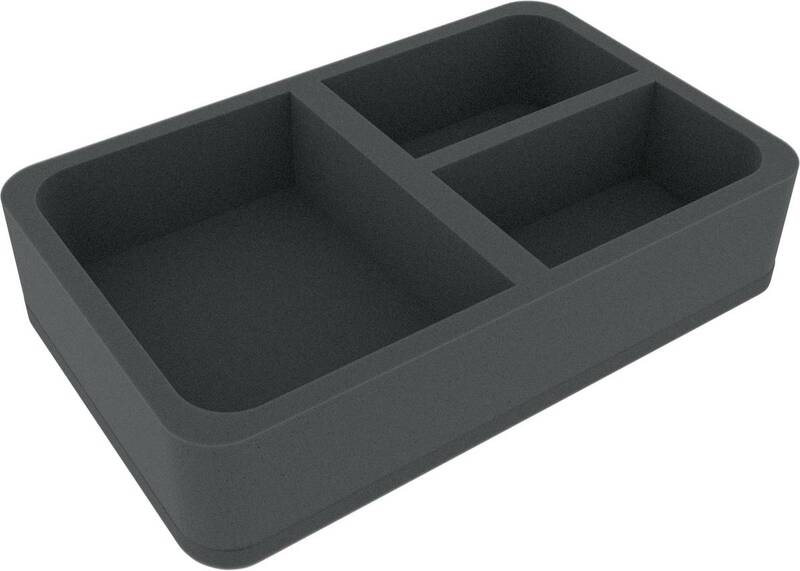 One large compartment, measuring 120 mm x 152 mm x 50 mm, is ideal for storing cardboard parts, such as map tiles or tokens. Dice, game cards and more tokens can be distributed to the other two compartments (120 mm x 71 mm x 50 mm). You can also fill the tray with miniatures, of course. One 10 mm thick base brings the inlay to a total height of 60 mm. 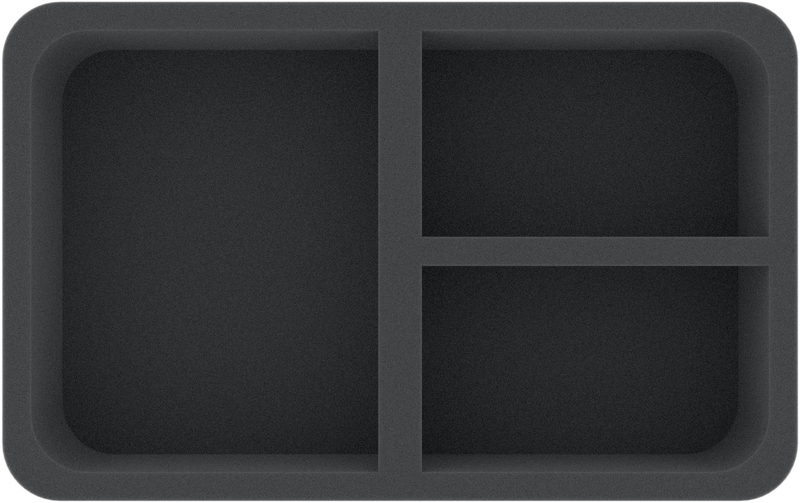 This half-size foam tray can be combined with any other Feldherr trays. Due to its standard dimensions, it fits into all of our storage and transport systems, such as the magnetic box, the MAXI bag or the backpack.